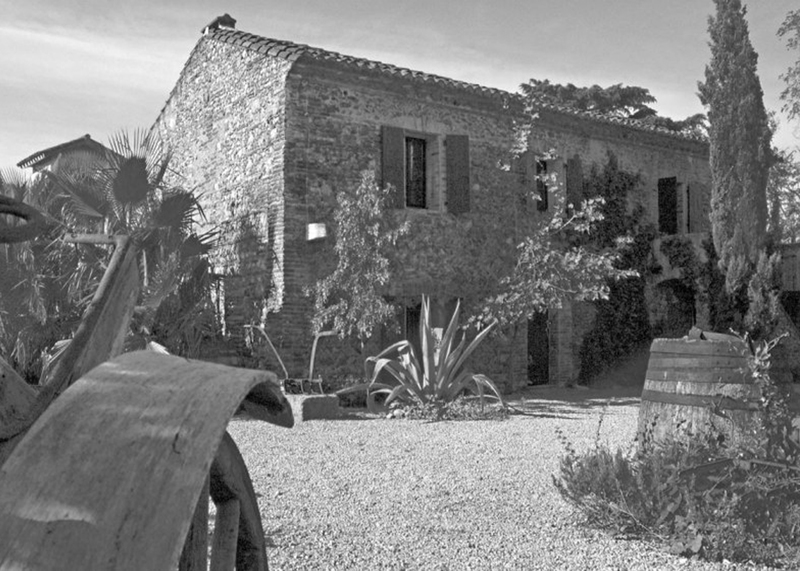 Here in the sunniest corner of southwestern France, after an earlier period of working abroad for other wineries, Jean-Marc Lafage and partner Eliane have followed in his father’s wine-making footsteps – establishing the sixth successful generation to take ownership for farming these historic vineyards in the Côtes du Roussillon. Arguably, the least selective AOC in the larger Roussillon region, it’s still best known for its abundant output of red wine and rosé. However, in the case of this vintner’s practices, somewhat less stringent official guidelines, and fewer entrenched traditions for fashioning their white wine allow for a more flexible, year to year recipe, particularly in the blending proportions of the allowable grape varieties. The composition of 80% Grenache Blanc and Grenache Gris (somewhat novel) is blended with 20% Roussanne and aged in both stainless steel tanks (70%), as well as, in new French oak barrels (30%). Their Grenache vines, averaging 90 yrs. of age, thrive in the ancient Quaternary soil (stony, gravelled) that lie within view of the Mediterranean seashore. Presumably, the significant maturity of the vine stock provides the namesake for this bottling called ‘Centenaire’ (Centennial). The generally favourable terroir here is helped by the Tramontana winds that blow from the North-West, providing both a cooling and drying effect in the vineyards. In 2016, this vintner’s plots in Roussillon were mercifully spared the hail and frost that were otherwise widespread in France, making it a difficult harvest for many winemakers. 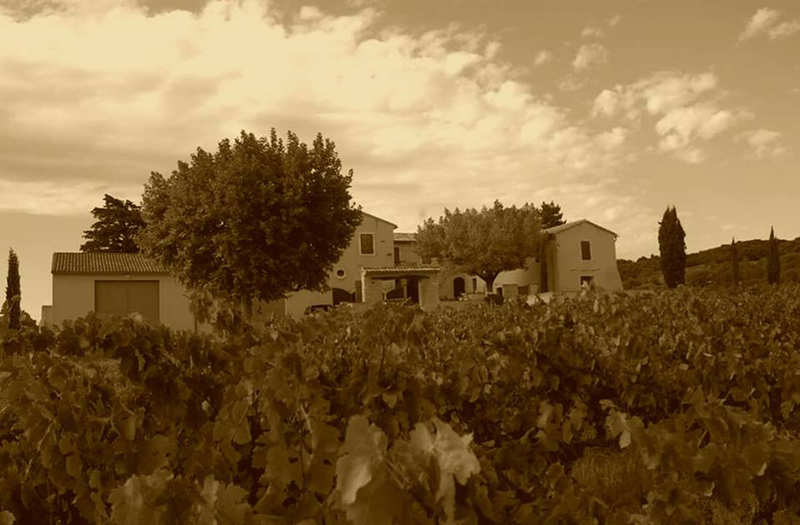 Though Roussillon had less than desirable rainfall during the main growing season, the delayed harvest of smaller grape clusters allowed for enhanced acidity and a rich aromatic character. Despite having produced lower yields, 2016 is highly regarded as a banner year for quality. 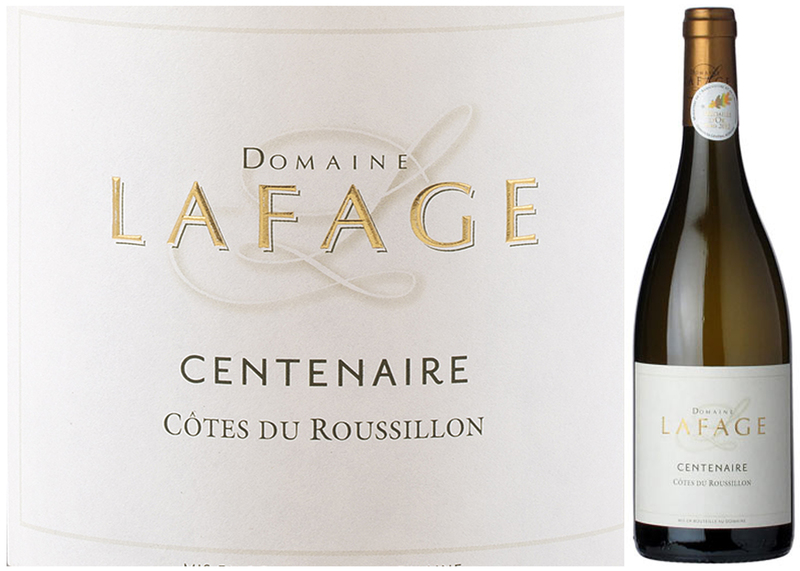 Relatively new to the international market, this week’s DéClassé recommended offering, Domaine Lafage Cuvée Centenaire 2016, couldn’t be more attractively priced as a premium white wine. If you’re able to snap up a bunch, as you should if you’re a fan of fuller-bodied whites – then know that it will cellar well for at least 2 years or more. With aromatic hints of vanilla and white fruit, this rich white wine has subtle citrus flavours with a flint-edged minerality derived from maritime soils. Try serving with food fare such as pasta carbonara, mild curries, ratatouille or fish dishes and mussels. Bookended to the top and bottom by its equally renowned neighbours, Burgundy and Provence, the Côtes du Rhône region straddles the namesake river’s banks for approximately 200kms from Vienne in the north to just below Avignon in the south. Part of Narbonese Gaul, Romans founded terraced vineyards here late in the 2nd century BC, though some significant development in wine-making history corresponds with the arrival of Popes in the 14th century. Displaced from their traditional seat in Rome due to the so-called western-schism, a splitting of the Catholic Church, and hemmed in by the upheaval of France and England’s 100 Years’ War, the temporary papal retreat to Avignon would be prolonged for 9 successions. Competitively inclined, the Popes and Cardinals established farm estates on tracts of Côtes du Rhône lands that had been ceded to the church. Gradually expanding the vineyard plantings secured a local wine source and provided revenue in the exporting of surplus production. 500 years onward, long after the Popes had left to reoccupy the Vatican, Avignon was again anointed in 1966 – this time with the secular designation of ‘Capital City’ of all Rhône wines. Vintners along the somewhat cooler stretch of the valley north of Montelimar make varietal wines exclusively with Syrah grapes, whereas wineries in southern zones produce the classic GSM blends built with Grenache, Syrah, Mourvèdre – or GSMC in which Carignan rounds out the recipe. This DéClassé recommended, Château Le Grand Retour – Plan de Dieu is a robust 60/30/10% GSM blend extracted from 45-year-old vine stock. Rooted in stony limestone or red clay soils typical of the Plan de Dieu sub-region, this geographic ‘God’s Plain’ has a localized, hot and dry climate, making the terroir ideal for the full maturation of its signature grape varieties. Lying at the base of the Dentelles de Montmirail foothills, the plain encompasses vineyards that surround the towns of Camaret-sur-Aigues, Violes, Jonquieres, as well as, the source of this week’s feature bottle from Travaillan. 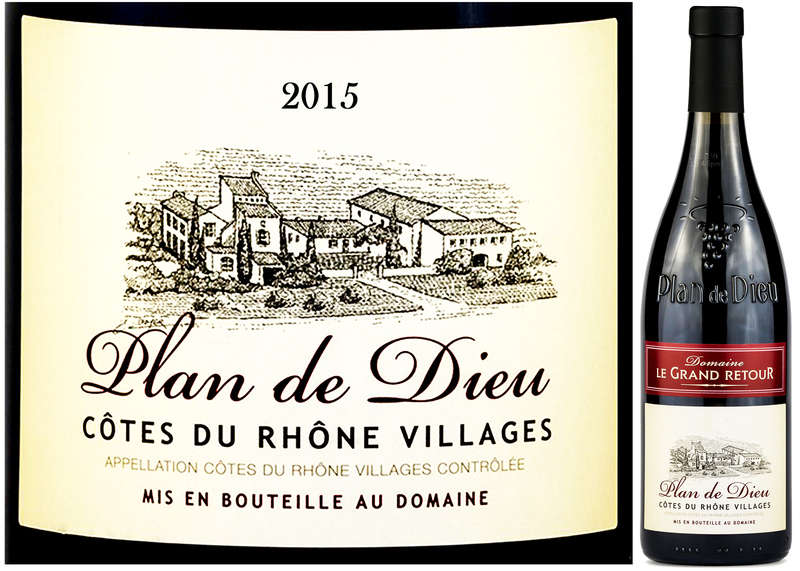 Despite being a relatively new appellation created in 2005, the Plan de Dieu AOP classification with the ‘Villages’ qualifier, indicates a more distinctive quality of wine than that of the generic Côtes du Rhône AOP. The unique bottle style also features Plan de Dieu as an embossed coat-of-arms: a cluster of grapes framed by a halo! The same sentiment can also be applied here to this bottling since it’s become a yearly Vintages release that always seems to exceed the generalized pedigree as an entry-level, southern Rhône wine. In my pocketbook, this Plan de Dieu trumps lower end offerings of Châteauneuf-du-Pape – and for the same price, I can buy 3! Dark, silky-smooth with juicy fruit and savory notes, the complexity of aromas and flavours in this bottling exceeds its general pedigree of an ‘entry level,’ southern Rhône wine. Try serving with roasted poultry, duck, lamb, stuffed eggplant, bean stew with sage or sharp flavoured, hard cheeses.